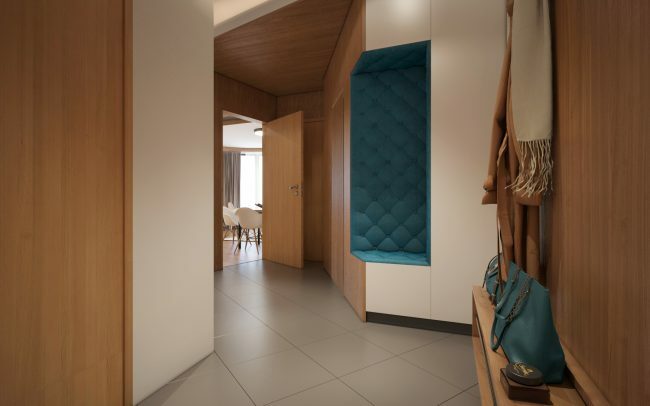 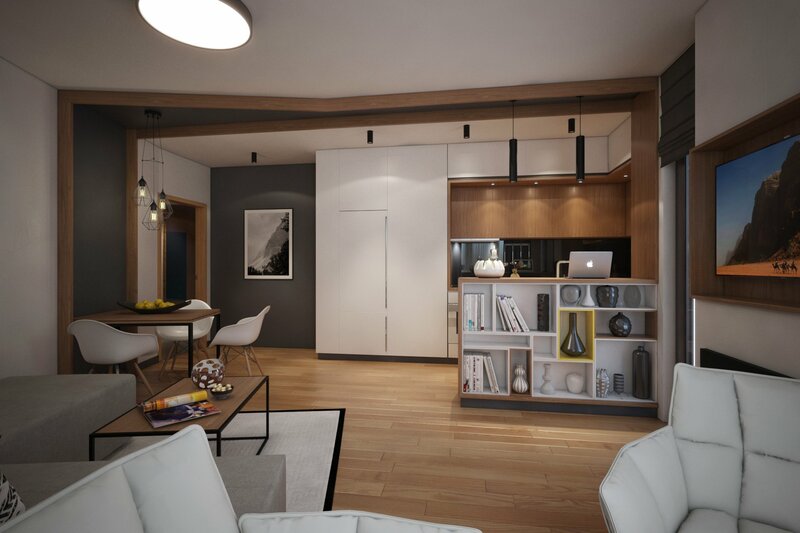 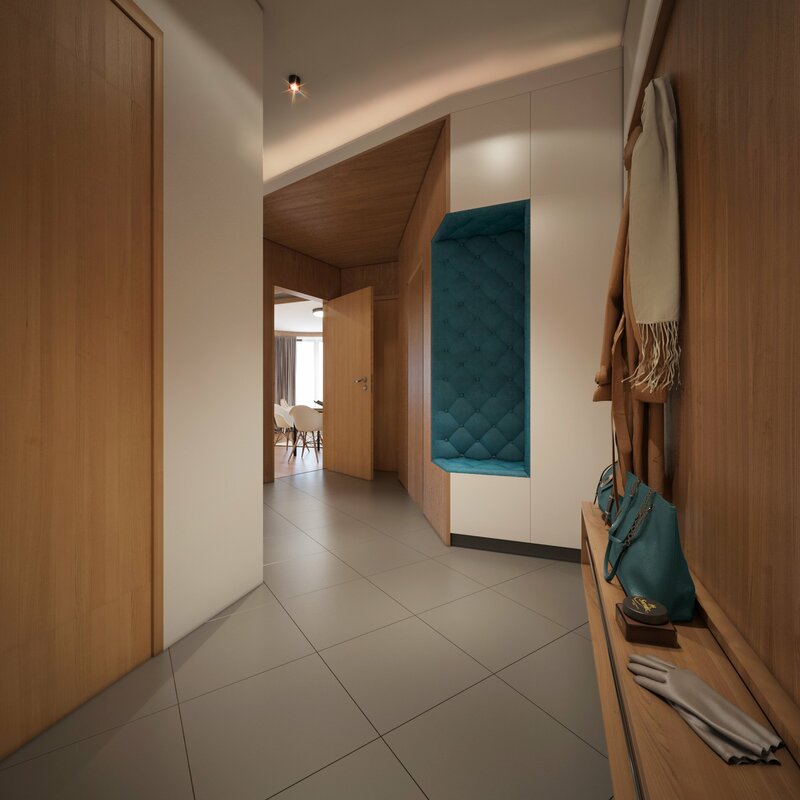 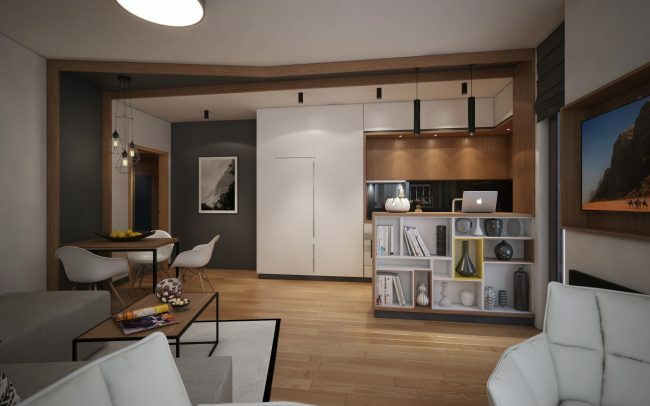 Interior design project for an apartment in Sofia. 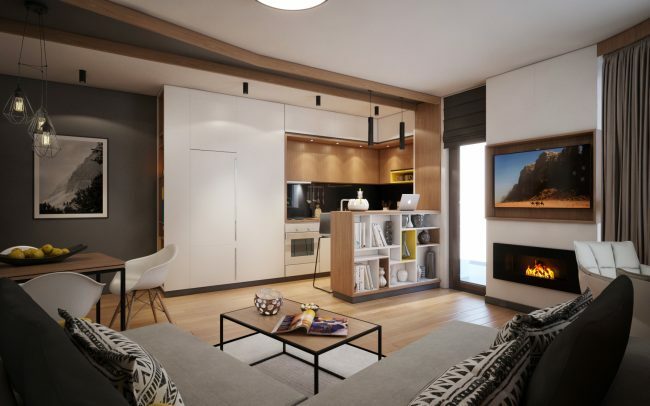 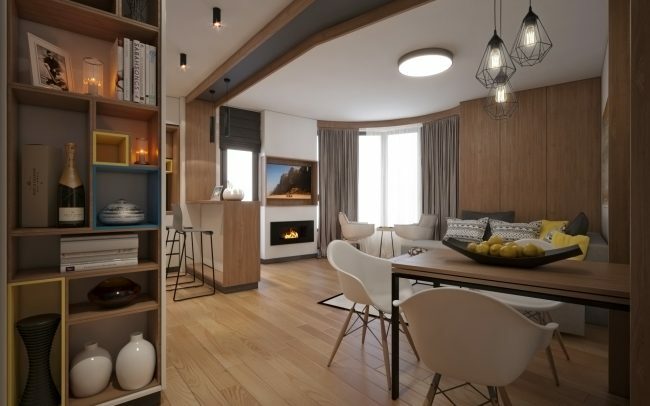 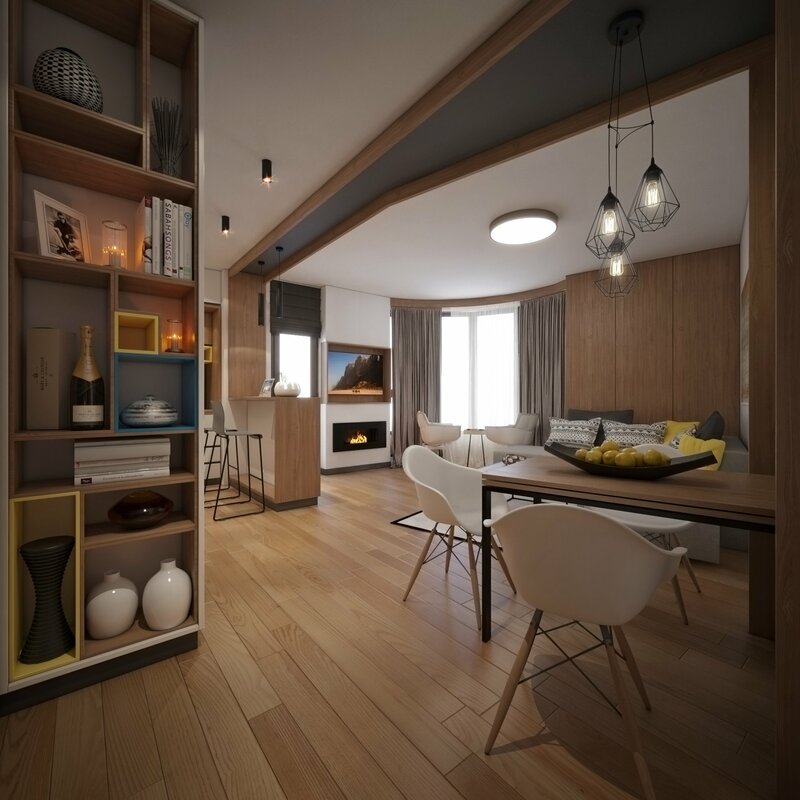 The style of the design is contemporary; a lot of wooden finishes are used, which create warm and cozy atmosphere. 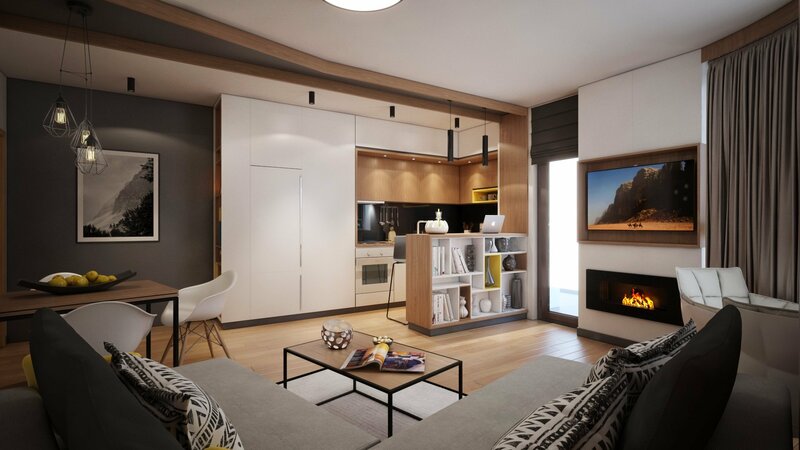 The combination of wooden and white finishes is used as a base for the color concept and some thin colorful elements play the role of the accent.